Represented a prominent, privately owned real estate investment advisor in restructuring a real estate portfolio consisting of more than 100 properties. Represented a well-known NFL club in issues related to league governance and employment matters. 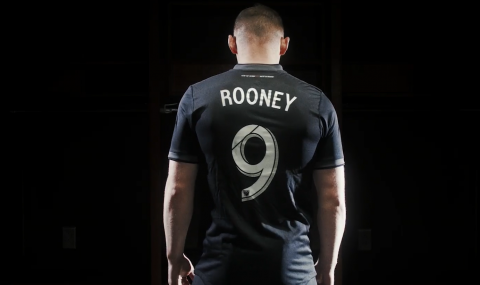 Represented Major League Soccer's D.C. United in its permanent transfer agreement with English Premier League superstar Wayne Rooney. Rooney, who was most recently with Everton F.C., scored 208 goals in 16 seasons in the English Premier League — the second most in league history. Represented a U.S. commercial bank, as a sole lender, in a $50 million senior secured revolving credit facility to owners of an MLB franchise. The proceeds are to be used for working capital purposes. Represented New York Racing Association in a joint venture formed to conduct the NYRA Bets national advance deposit wagering business. Represented a prominent real estate firm, as lead counsel, in structuring and negotiating primary naming rights and secondary cornerstone sponsorship agreements for a proposed mixed-use real estate and stadium development project located on the west side of Manhattan. 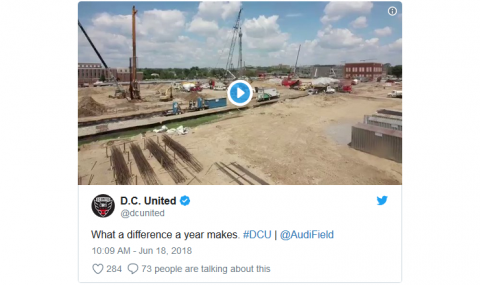 Represented Major League Soccer’s D.C. United in the construction financing and naming rights transactions for the club’s new state-of-the-art soccer-specific stadium in Southwest D.C., Audi Field. Represented Legends Hospitality in the acquisition of International Stadia Group, a London-based sports and entertainment company. The acquisition will extend Legend’s global capabilities and allow for growth opportunities in the EAME regions. Represent the EMMES Group of Companies, a privately owned real estate investment advisory firm in all corporate and employment matters. Represented Legends Hospitality in connection with the operation of a rooftop attraction and entertainment center located at the top of the Aon Center in Chicago. Represented Yankee Global Enterprises, as lead counsel, in connection with various ownership transfers involving the New York Yankees. Represented a professional baseball team affiliate in a proposed joint venture with a leading European craft beer manufacturer for the operation of a brew pub at a major league baseball stadium. Representing the University of Nevada, Las Vegas, in negotiating a joint-use agreement with the NFL’s Las Vegas Raiders related to the development of the $1.9 billion Las Vegas Stadium. Represented New City Development in a proposed plan to develop a new stadium for the National Football League's Oakland Raiders. The $1 billion stadium would be the centerpiece of a proposed $4 billion Coliseum City development. Represented Legends Hospitality in an investment in VenueNext, a technology company that provides smartphone-based software that gathers fan metrics and analytics at stadiums, arenas and other large scale entertainment venues. Represented Legends Hospitality in its equity investment in DraftKings, a leading provider of daily fantasy sports contest services. Analysis of MLB league-wide proposal to provide the Office of the Commissioner of Baseball with greater oversight and involvement in MLB team bankruptcy and other insolvency proceedings. Represented the EMMES Group of Companies in the completion of the spin-off of Emmes Asset Management Company, renamed Vanbarton Group, and the formation of Emmes Realty Advisors from the existing Emmes entity. Represented Legends Hospitality in a major strategic partnership with Live Nation to provide concession services at 34 of Live Nation's music venues in North America. The partnership represents one of the largest venue food and beverage contracts in history. Represented Yankee Global Enterprises in a refinancing of its senior secured credit facility with a bank syndicate. Represented client in a consulting arrangement with Sports Professional Management, Inc., a sports agency business. Represented an affiliate of Emmes Capital in a real estate development joint venture involving partial conversion of office space into residential units. Represented an affiliate of New York City Football Club in a memorandum of understanding with the City of New York for the financing, development and construction of a new soccer stadium. Represented the National Hockey League's Tampa Bay Lightning in its arena naming rights agreement with Amalie Oil Co. Represented Legends Hospitality in a proposed investment in software that consolidates sports franchise data. General corporate representation of New York Market Radio, a non-profit marketing association supported by the New York area radio stations. Represented Sterling Equities in the joint venture formation of the Brooklyn Bolts, one of four teams in the new Fall Experimental Football League ("FXFL"). The FXFL is a professional football league which serves as a developmental platform for players, coaches and referees. Represented a final round bidder, a consortium of high-net-worth individuals and institutional investors, in the proposed acquisition of the National Football League's Buffalo Bills, and in related stadium issues and compliance matters with the NFL constitution. Represented New York City Football Club in a multi-year radio license with CBS Radio to broadcast the team's matches on WFAN 660 AM / 101.9 FM.